Opera news is a product of the makers of Opera mini and Opera browser. The opera news app gives you latest breaking news from all around the world and is a very nice app to have. Most people have the app installed already and are already actively using the app. 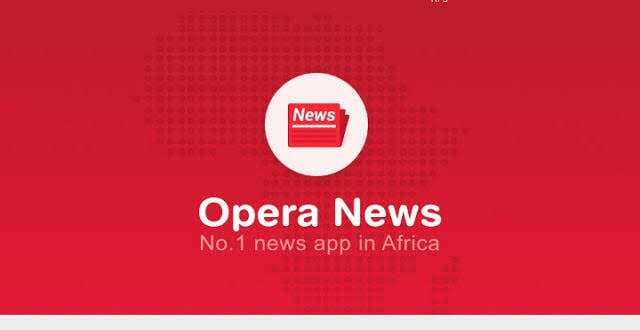 Currently, they are doing a giveaway so we will be letting you in on how to earn unlimited free airtime via opera news app. Opera news are giving out 50 points to anyone who downloads their app from the google play store. They are also giving 25 points to anyone who refers someone that Downloads an activate the opera news app. In conclusion, they are simply rewarding you for your time and effort in helping them promote their app. Futhermore, If you refer someone that successfully installs and activates the app. You get 25 points that is can be exchanged for N25 Airtime while the person that installs the app get 50 points that can also be exchanged for N50 airtime at their end. If you can refer a lot of people, then you can earn a lot of points, which subsequently gives you more Airtime. However, there is a trick one can use to get unlimited points which will in turn give you unlimited airtime. Although, it is not not an easy task but it is definitely worth it. First of all, you need a couple of things. ⚫ Internet Connection on Both devices. ⚫ ID Changer App installed on The Rooted Device. ⚫ Download the Opera News App From Google Play Store on Phone 1. You will be given 50 points which can be converted to any airtime of your choice. ⚫ Open the Opera News App On The Phone 1, Click On The Me Tab at the bottom right corner of the app and copy your Referral Link. ⚫ Using the Referral Link, Download the Opera News App on Phone 2. You will be given 50 points On Phone 2, and 25 points on Phone 1. ⚫ Uninstall the opera news app on Phone 2. Open your ID Changer App and Change The ID of the Phone 2. ⚫ Now Using the same Referral Link, Download the opera news app again and you will be given 25 points on the Phone 1. ⚫ Keep repeating Steps 4 and 5 to keep getting 25 points each time. ⚫ Open the Opera News App on the Phone 1. ⚫ Select Me at the bottom right corner of the screen. ⚫ Click on My Balance. ⚫ Enter the Recharge Amount and the Phone Number to be recharged. Voila. You just got your airtime. This is a nice way to earn airtime for calls or text. More importantly, you can the airtime to subscribe for more data and continue repeating the steps outlined in this tutorial. Now that you know how to earn unlimited free airtime via opera news app, what are you still waiting for? Start earning right now.